In what was already known to be something of a formality, Spelthorne Councillors last night voted 25 in favour, with just four against, for rebranding Staines to Staines-upon-Thames. After much lengthy debate during which many Councillors spoke in favour of the change, the vote was carried with six abstentions. Councillor Colin Davis recommended the rebranding strategy to the cabinet making his points in favour of the change, and there were very few dissenting voices. 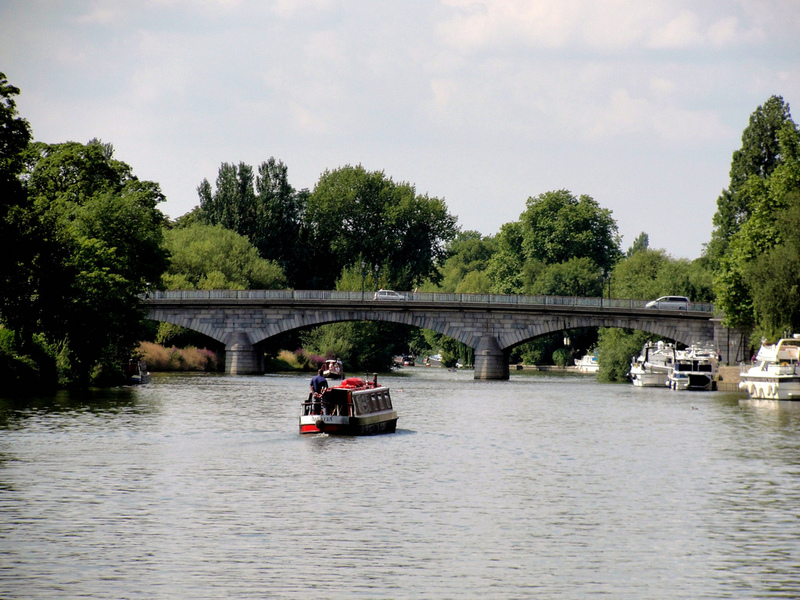 Members of the Council hope that the rebranding strategy of the town will advertise Staines’ location on the river to members of the public and businesses who are not aware of the Thames-side position. They believe that this will assist plans to creatively market the town and attract business and investment. Attendees of the meeting, including local creative agency Design Inc, representatives from Staines Town FC and many other businesses were told that residents of many of the town’s wards were 70-80% in favour of the change providing it was not going to cost them any money, and we heard that adopting the name change was entirely optional and down to personal choice. An official celebration of the name change is expected to take place in May 2012 at what is hoped will be a big event with members of the Royal family, local and national government and representatives of the City of London being invited. Below is the official release from the Council press office. Spelthorne councillors have voted to change the name of Staines to Staines-upon-Thames in a bid to bring economic benefits to the town. It is anticipated that the move will improve perception of the town as a place to visit, live and work. Of the 35 councillors who attended the Council meeting on Thursday evening (15 December), 25 voted for the change, 4 against and 6 abstained. The name change follows a public consultation which ran for a month in October 2011. The Council had invited a wide range of responses from residents, businesses, visitors and other stakeholders. There will be a formal celebration and inauguration of the new name on 20 May 2012, a major civic event to which representatives of the crown, local and national government and the City of London will be invited. It is hoped that the event will include a repositioning of the London Stone from its current position in the Lammas Park to its original position by Staines Bridge.